Bali Hotel By the opening of Amandari, Aman Group became the best brand of Bali that they gave the image of the ultimate healing resort to all over the world. 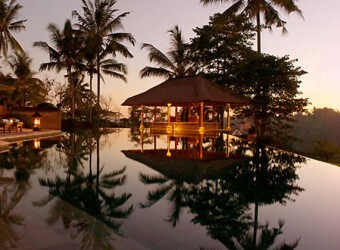 Amandari is the private villa that is built as hiding behind the mountain of Bali. There is limited numbers of the great facilities, and about 150 staffs offer polished service for only 30 villas.